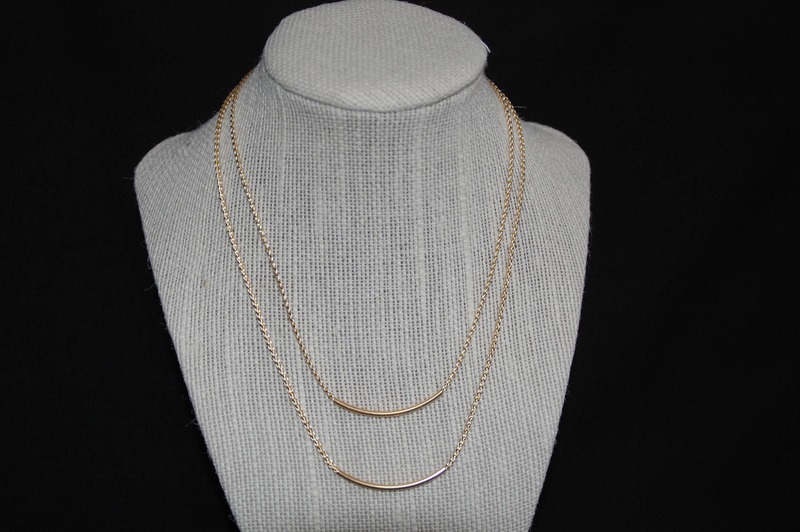 This necklace is made from a combination of our most popular layering lengths. It is two necklaces in one for a guaranteed sophistaced layered look! Small: The shorter necklace is apporximately 16” and the longer necklace is approximtely 18". 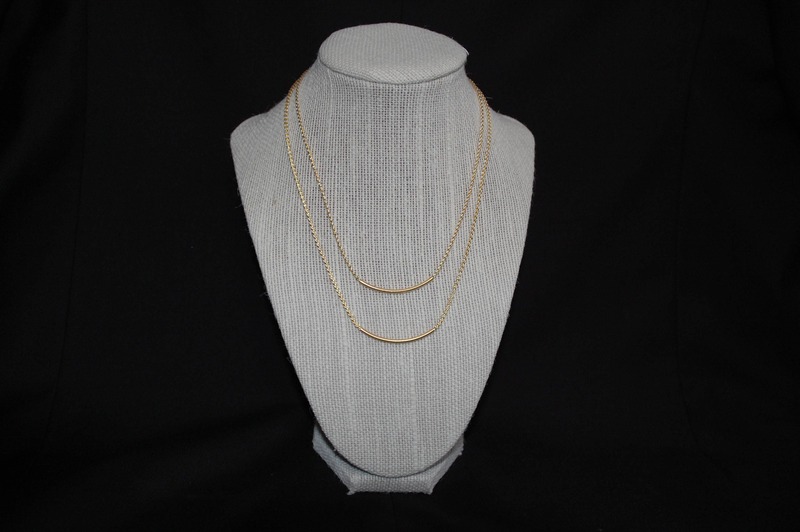 Large: The shorter necklace is approximately 18" and the longer necklace is approximately 20”.